The automotive and information and communications technology (ICT) sectors requiring graphite moulds for glass end products and graphite electrodes present distinct challenges in terms of surface finish, precision, process reliability and productivity. Graphite glass moulds for glass end products are especially common in markets such as ICT, while graphite electrodes are typically demanded by the automotive, electronic components, aerospace packaging sectors, and of course mould making. 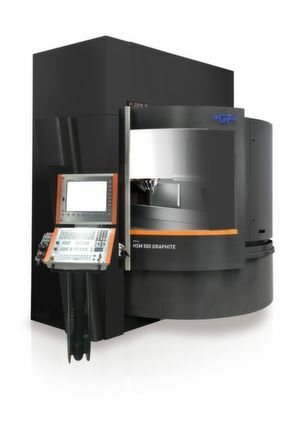 The Mikron Mill S 400/500 Graphite and HSM 500 Graphite extend GF Machining Solutions’ high-speed milling (HSM) expertise by addressing the very challenges manufacturers grapple with daily. By aiming for greater surface quality and precision, they reduce costs, extend flexibility and unleash cost effectiveness, GF Machining Solutions announced. Thanks to the HSM technology and high-quality key components, the machines deliver notable process dynamics: 100 percent of the resulting machine performance is transferred to the machined graphite mould or electrode, the company says. 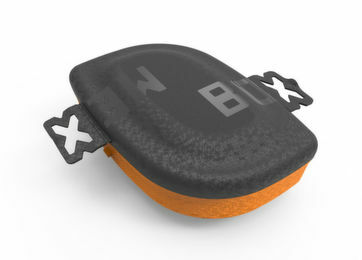 Process stability, parts quality and shop floor productivity are must-haves for customers producing the graphite moulds that are shaping the glass for today’s fast-moving information and communications technology (ICT) and automotive markets. New products like high-end curved touch screens require moulded glass, driving the increasing need for machined graphite moulds. The Mill S 400/500 Graphite makes these impeccable 3D glass products possible. 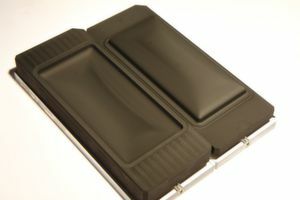 Graphite mould manufacturing for glass end products presents specific manufacturing challenges. They require ±5 µm precision, Ra 0.4 µm surface finish and, depending on the application, as many as 90 minutes of dry or wet machining—and they must be absolutely free from milling marks. According to GF Machining Solutions, the Mill S 400/500 Graphite resolves these challenges. As ambient workshop temperatures fluctuate and machining speed changes, process stability is maintained thanks to the machine's intelligent thermal management system and thermostabilised machine body. Precision and stability at the tool tip are ensured by the Step-Tec HVC140 spindle, specially developed for best accuracy and fluid tightness. 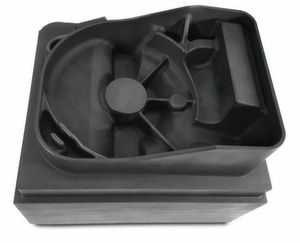 Its 42,000 rpm and 13.5 kW of power ensure the precision that manufacturers need to tackle graphite moulds, and it has thermal stability of less than 1.7 Kelvin around the machine support’s contacting surface. For mould-makers looking to enter the market for moulds for glass end products, both productivity and speed are important factors that can make a difference. Graphite machining has never been so attractive – and challenging. The Mikron HSM 500 Graphite and Mill S 400/500 Graphite yield the precise graphite electrodes that boost die-sinking EDM productivity and reduce costs. As lead times become ever shorter, manufacturers require ever-greater speed in their manufacturing processes. Precision, flexibility, higher productivity and reduced cost per electrode are the direct advantages of the automated and reliable processes delivered by these two dedicated graphite machining solutions. Establishing a process, ensuring its stability and sustaining productivity while reducing running costs are among the specific challenges that graphite machining shops face daily. Whether the manufacturer’s process requires dry or wet machining, the Mikron Mill solutions ensure the clean working environment essential to both process quality and employee health, GF Machining Solutions announced. 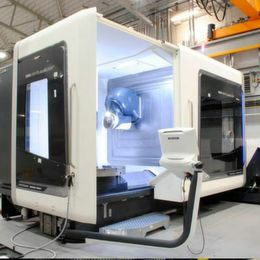 The Mikron Mill S 400/500, available with three axes, allows for axis dynamics and spindle speed. The results, according to GF Machining Solutons, are simple and precise graphite machining thanks to long-term precision and the ability to machine not only graphite but a wide range of materials in a clean environment. 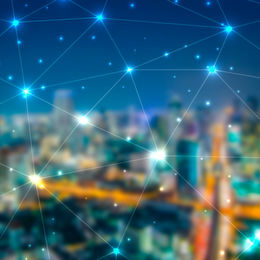 These mixed-use capabilities are enhanced by integrated automation to drive user agility, productivity and return on investment. 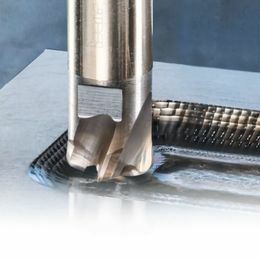 The Mikron HSM 500 Graphite facilitates dry machining with a well-established process, a simple and compact solution, and a workshop free of graphite slurry accumulation. The machine’s Step-Tec HVC140 spindle, integrated dust extraction and integrated System 3R Work-Partner (WPT1+) compact part-changing robot form a good solution for machining small graphite electrodes. Highest productivity and flexibility per square metre take graphite machining shops to a new level of success, says GF Machining Solutions. For example, a single Mikron HSM 500 Graphite and a System 3R WPT1+ consume just 10.4 square metres of workshop space while ensuring 24/7 automated process reliability. Manufacturers can double their production capacity by equipping two Mikron HSM 500 Graphite machines with a WPT1+ with up to 70 pallets—in a footprint of only 18.5 square metres. More flexibility can be achieved by bringing three operations – graphite electrode machining, die-sinking EDM and automation – together in a single 19.5-square-metre cell employing the Mikron HSM 500 Graphite, the Agie Charmilles Form P 350 and the System 3R WPT1+ with up to 70 pallets. Manufacturer flexibility can be further extended by System 3R’s diverse clamping systems. From small electrodes to large steel moulds, various System 3R reference systems are available to increase the flexibility of graphite machining shops.